ItemC-01321 - Wreck of a Canadian National Railway freight train near Ashcroft. ItemB-04708 - The SS Titania leaving the coal wharf at Nanaimo. 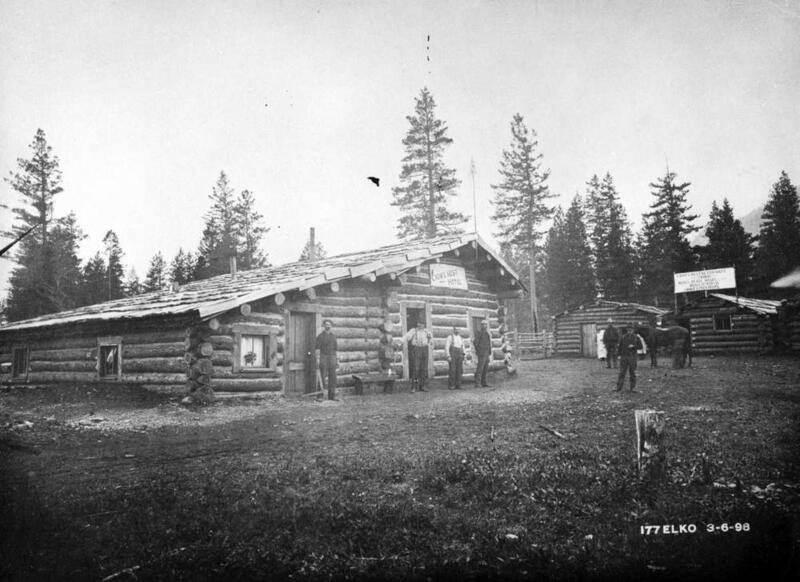 ItemB-06296 - "Crows Nest Hotel; Crows Nest Restaurant and Bakery, Meals At All Hours, Meals 35 Cents, Beds 15 Cents, Jimmie & Fred Props"; Construction of Crow's Nest Pass branch of the CPR. ItemG-01982 - Great Central Sawmills. ItemB-09629 - Arrival of the first E & N train at Victoria. ItemB-07561 - E & N Parksville-Alberni Survey Crew At Whiskey Creek. ItemB-07000 - The SS Trail. Item B-06296 - "Crows Nest Hotel; Crows Nest Restaurant and Bakery, Meals At All Hours, Meals 35 Cents, Beds 15 Cents, Jimmie & Fred Props"; Construction of Crow's Nest Pass branch of the CPR. "Crows Nest Hotel; Crows Nest Restaurant and Bakery, Meals At All Hours, Meals 35 Cents, Beds 15 Cents, Jimmie & Fred Props"; Construction of Crow's Nest Pass branch of the CPR.